We care deeply about this coastal home. As an ecotourism operator we consciously work toward minimizing our use of fossil fuels, reducing our ecological footprint, and interacting with the local community in mutually supportive ways, while furthering conversation and practices toward sustainable tourism objectives. Our success relies on a long-term commitment to one site and location - Spring Island, Kyuquot - and our close Indigenous connections. We want our success to benefit the community and Ka:'yu:'k't'h' / Che:k:tles7et'h' (Kyuquot - Checleset) Territory. 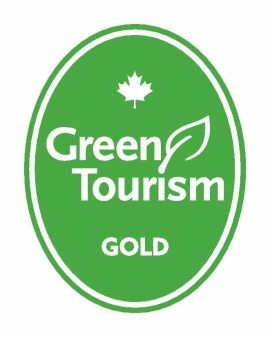 In February 2014, we received the respected "Green Tourism Gold" Award through Green Tourism Canada. This was achieved through voluntary participation in a rigorous third-party assessment that considered over 145 evaluation criteria across 11 review categories; 60 of these criteria were selected and graded as most relevant for our business, resulting in our Gold Award! This award level was reassessed and reaffirmed in 2016 and 2018. We continue learning through conscientious choices. Each day brings further consideration and action toward improving our practices toward responsible, sustainable tourism. Our dedicated staff live this as part of their everyday actions; they help to refine our systems and approach. Similarly, our guests often share ideas that we act on. Joining us contributes to our ability to be leaders and stewards in our region and sector. West Coast Expeditions are an excellent example of community-centred leadership and socially sustainable ecotourism practices. Stating an Environmentally & Socially Responsible Policy. Following sustainability considerations for purchasing. Founding and sponsoring the first "Sustainability Award" in 2016, 2017, and 2018 for businesses and organizations through the Comox Valley Chamber of Commerce Community Awards. Contributing logistics and local knowledge support for multiple international wildlife documentary film crews working to further public education and understanding about sensitive ecological and conservation considerations, including the delicate recovery and interface of sea otters, coastal wolves, and local human culture. Committing to contributing a minimum of 1% of annual gross revenues (not net revenues or profit) to environmental conservation and stewardship activities through non-profit organizations. We exceed this through financial and volunteer contributions. This is tracked through 1% For the Planet. This has been directed to the Georgia Strait Alliance, Cumberland Community Forest Society, Watershed Sentinel, Wilderness Tourism Association of BC, Comox Valley Project Watershed (supported through the Comox Valley Community Foundation), Coast Mountain Academy (experiential education programs), and sponsoring the "Sustainability Award" for the Comox Valley Chamber of Commerce Annual Community Awards. Furthering community education and awareness around wildlife safety and co-existence, including with the young pack of sea wolves on Spring Island and in the Mission Group of Islands. Maintaining diverse and active professional affiliations with organizations that support healthy business practices, healthy living, and healthy environments. This includes active involvement as a volunteer Director on the board of the Wilderness Tourism Association of BC from 2012-18, working closely with a consortium of adventure tourism organizations advocating for conservation and stewardship objectives that are fundamental to our provincial economy and ecosystem health throughout the province. With local First Nations ownership and a history of supporting community-based planning, we are committed to local capacity building, education, and training collaboration with the Ka:'yu:'k't'h' & Che:k:tles7et'h' (Kyuquot & Checleset) First Nations people and the Kyuquot community, including apprenticeship training and student employment opportunities. Our BC Park Use Permits and First Nations site use permissions are in place. We actively participate in collaborative discussions about resource use decisions that shape the future of our coast. This has included participation in the Vancouver Island Land Use Plan, Kyuquot Coastal Plan, Community Based Tourism Planning, and KCFN Economic Development Business Feasibility Study. We use high quality and reliable locally-sourced products and services whenever available, suitable, and practical (Kyuquot, Gold River, Campbell River, Comox Valley, Vancouver Island, Vancouver, and British Columbia). 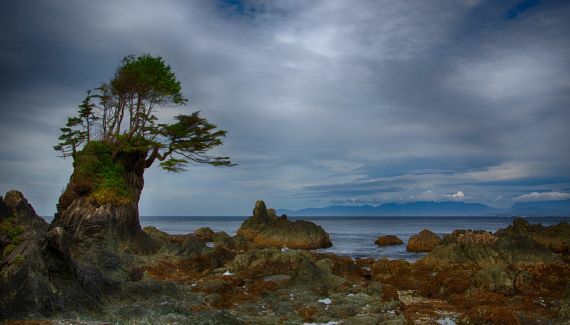 We are stewards of Kyuquot and Vancouver Island coastal ecosystems, and strive to share this wilderness ethic, sensitivity, and action with our guests and all other visitors to Spring Island and the Kyuquot area. This includes our 20+ year history of involvement with the Volunteer Warden program for Checleset Bay Ecological Reserve, acting as caretakers for the Checleset Bay Important Bird Area, monitoring Beached Bird Surveys for Bird Studies Canada, and active membership in the Wilderness Tourism Association of BC. We proudly support the marine conservation work of several non-profit organizations through volunteering our time, or donations. Our seasonal Wilderness Retreat Base Camp blends with the natural features, uses solar power for minor electrical needs, relies on water conservation practices, and produces minimal waste. We are a local resource for other visitors to Spring Island and the Kyuquot area, happy to share knowledge, suggestions, and safety support whenever needed/requested. 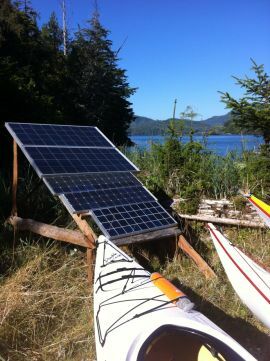 We are professionals and leaders in the sea kayaking, eco-adventure, and Indigenous tourism sectors, continually working with industry associations toward high levels of safety, service, and standards that are healthy, forward-thinking, and of benefit for our staff, guests, service providers, and associated communities. We know that our business success is interwoven with the success of each of the above - and we embrace that challenge and privilege!